Cost to clean siding varies greatly by region (and even by zip code). 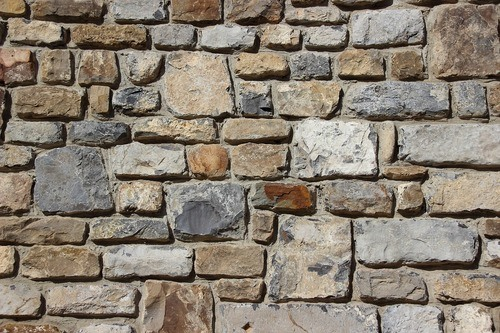 Get free estimates from local contractors in your city. Cost to clean siding varies greatly by region (and even by zip code). The average cost of cleaning siding is around $640. How much does it cost to clean siding? The siding is one of the first things people notice about your house and when it inevitably gets dirty, it starts to look uninviting. Ignoring your cleaning duties can lead to permanent stains, and mold and mildew deposits on your siding can lead to health problems. Plus, a clean house can equate to a higher home value, especially if you’re selling. To clean the siding of a 1,500 square foot home, expect to pay an average of $640. Before you can clean your siding, you’ll want to make an initial inspection. What you’re trying to do is identify the main source of dirt on your siding. Is it mostly pollen? Mostly dirt? Mildew? Bird and critter droppings? 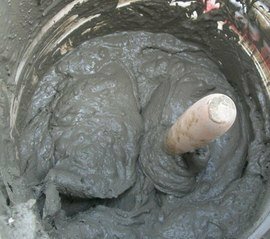 It’s important to understand the source of the dirt before you reach out to a contractor. The reason is that different cleaners are more appropriate for different dirt sources, so the contractor needs as much information as possible to determine the right cleaning method for your house. In addition, you’ll want to see if there is any damage that needs to be fixed before cleaning can take place. There are different ways to clean siding. Manual cleaning involves using hand-held equipment, while pressure washing uses pressurized water and cleaner to spray the dirt, mold, and mildew off of the side of your house. Manual cleaning involves going in by hand with a brush and cleaners to get rid of dirt. 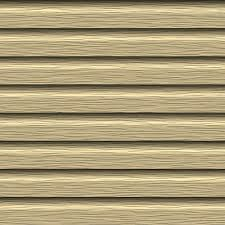 This is appropriate for certain kinds of siding, like wood, as it avoids paint and caulk 1 damage. It’s very unusual to find a professional service that washes siding entirely by hand, however, this is really a method that’s used by DIYers. Siding should be cleaned at least once a year but possibly more frequently if your siding is susceptible to mold and mildew buildup, or if you put your house up for sale. That being said, hand washing certain sections is usually included in the hourly cost of pressure washing, $60-$100 per hour. For cleaners, you can use either general purpose cleaner for basic cleaning, or diluted bleach water to tackle mold and mildew. A soft-bristle cleaning brush should be used to prevent damage to the siding. Pressure washing is the more conventional method for cleaning siding. Hiring a professional to pressure wash your house will cost $60-$100 per hour, depending on the siding material and level of dirt. A 1,500 square foot house will take approximately 8 hours, costing a total of $480-$800. There are different detergents designed for pressure washing, and your pressure washing professional will choose the one that is compatible with your siding material. These cleaners will usually cause minimal damage to plants and soil and are often biodegradable. Because pressure washers can sometimes be too powerful, the pros you hire will adjust the water pressure so that it doesn’t cause damage, and this knowledge and experience is usually a good reason to avoid the DIY approach. Soft washing is similar to power washing but operates at a much lower pressure. This method combines low-pressure water mixed with a cleaning solution that works safely on brick, stucco 2, and vinyl 3. Soft washing usually costs less than pressure washing, but may not remove everything. Soft washing costs $275-$475 for this project. There are different types of siding, and not all of them can handle the same type of cleaning. Pressure washing is the most common method of cleaning siding, and while you could rent a pressure washer and do it yourself, it’s really better to hire a pro. Professionals understand that improper use of a pressure washer can actually cause more damage, such as removing paint or mortar 6, or getting water behind the siding. In addition, you’ll need a pro to make any repairs to your siding before you have it cleaned. Otherwise, you risk water getting into cracks and behind the siding, which can cause serious long-term damage. Pressure washing costs $60-$100 per hour. Manual washing may be done in conjunction with pressure washing and may cost on the higher end of the spectrum. After the siding has been cleaned, you may want to paint it to give your house a little bit of a makeover. The average cost to paint the siding of a 1,500 square foot house is $1,850. Siding must be cleaned before it is painted. Your annual siding cleaning is also a good time to check for necessary repairs. 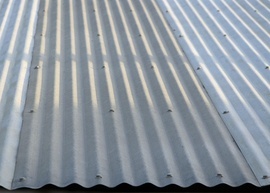 Depending on the type of siding, there may be cracks or peeled paint to deal with. 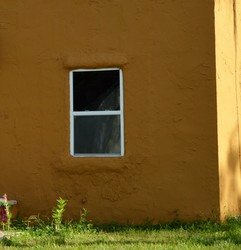 Stucco repairs, for example, will cost $40-$50 per hour. In terms of labor, for other siding repairs you can expect the same rate of $40-$50 per hour for a contractor. The difference will come from material costs. 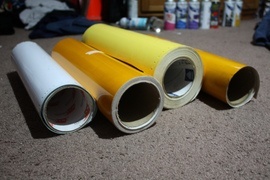 One piece of vinyl siding, for example, costs about $40. 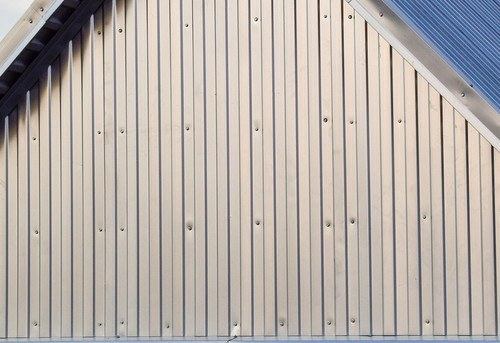 Wood siding, on the other hand, may cost $100-$150 per section. 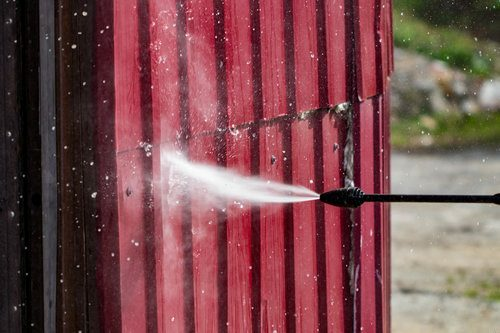 There are quite a few cleaning products appropriate for siding, but there are also some precautions you should take. Avoid using abrasive brushes, which can damage the siding. In addition, you should avoid using cleaners that have organic solvents, undiluted chlorine bleach, or solvents like furniture polish or nail polish remover. All of these types of substances can damage your siding. Mold and mildew are unsightly, which is a great reason to clean your siding, but did you know it can also be detrimental to your health? If your children are playing outside, they can potentially develop health problems from exposure to mold. In addition, mold and mildew, though it starts on the outside, can potentially make its way into the house. Attics are particularly vulnerable to mold and mildew that start outside. Dirt, mold, and mildew can actually damage your siding in the long run. When left without cleaning, dirt can eventually permanently discolor your siding, which can lower your home’s value. While you could clean it yourself, it’s better to hire a professional. They have more experience and can clean your house without damage. 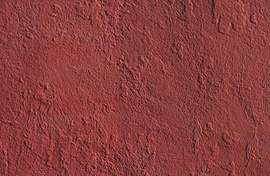 For example, improper pressure washing techniques can lead to water behind the siding, or damage to the siding itself. How much does pressure washing cost per hour? Pressure washing costs $60-$100 per hour. How much does it cost to pressure wash per square foot? It depends on the level of dirt and the size of the project. It could be as low as $0.12 per square foot to as high as $0.60 per square foot. There is usually a minimum area to charge by the square foot, and some contractors charge by the hour, not the size. How often should I clean the vinyl siding on my house? 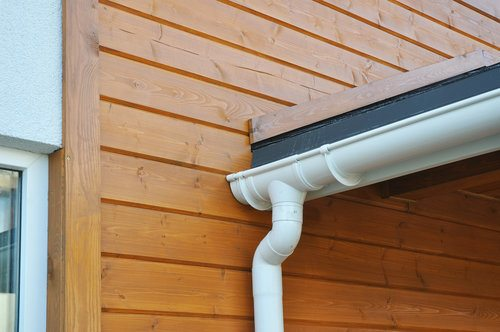 To avoid long-term buildup of mold, mildew, and dirt, your vinyl siding should be pressure washed once a year, preferably in the warmer months. 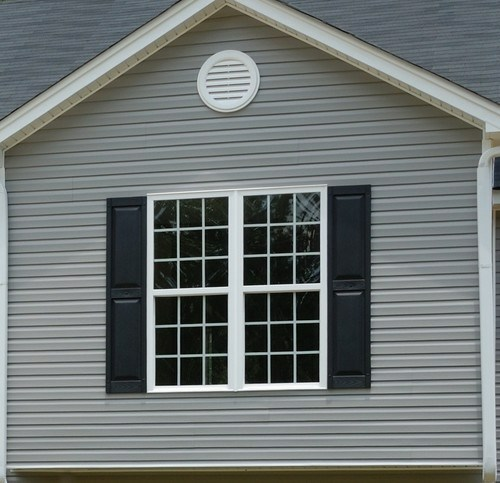 There is no one right answer because it depends on the level of dirt and grime on your siding. Cleaners like oxygen bleach and vinegar are useful, but you should avoid abrasive brushes, undiluted bleach, and organic solvents in order to protect your siding. Can you pressure wash vinyl siding? Pressure washing is an effective tool for cleaning siding and can get some of the hard-to-remove grime like mildew and mold. How do you clean vinyl siding on a house? There are several ways. One is to do it yourself using a soft brush and appropriate cleaners, but the other way is to pressure wash the siding, either by renting a pressure washer or hiring a professional. 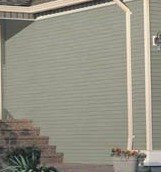 Does Simple Green clean vinyl siding? 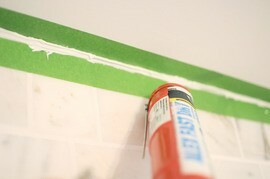 There is a specific cleaning product that Simple Green makes that is designed for cleaning vinyl. How much does it cost to clean siding in my city? Cost to clean siding varies greatly by region (and even by zip code). To get free estimates from local contractors, please indicate yours.